Verandas for your home in Reading, Henley-On-Thames and Wokingham from Abbey Conservatories can really add a touch of class to your property, no matter its style. We design and install stunning verandas to suit a range of property styles, from traditional to modern, each one precision engineered for quality and durability. Our verandas are cost effective and will transform your Reading home, allowing you to enhance your home in an economical way. You won’t have to settle for anything less. As a leading home improvements specialist in Reading, Henley-On-Thames and Wokingham, you can count on our expertise. We always work to a prompt and professional standard. On hot summer days, the sun can beat down onto your patio, particularly if your garden faces south. This can make areas of your outdoor space impractical and unusable on sunny days. A new veranda will give you a sheltered space where you can keep out of harmful UV rays while still enjoying the beautiful weather. Verandas are truly a practical installation as well as a stylish one, making your garden a more enjoyable space to be whatever the weather. One of the functions our verandas can offer, is a stylish and practical car port to protect your vehicle in Reading, Henley-On-Thames and Wokingham. Our verandas come in a variety of sizes, and can be adapted to accommodate your car as an alternative to costly and time consuming garage installations. It can require a lot of work to create a garage, and if the space you have available isn’t quite wide enough, the finished result could be useless for storing your car. 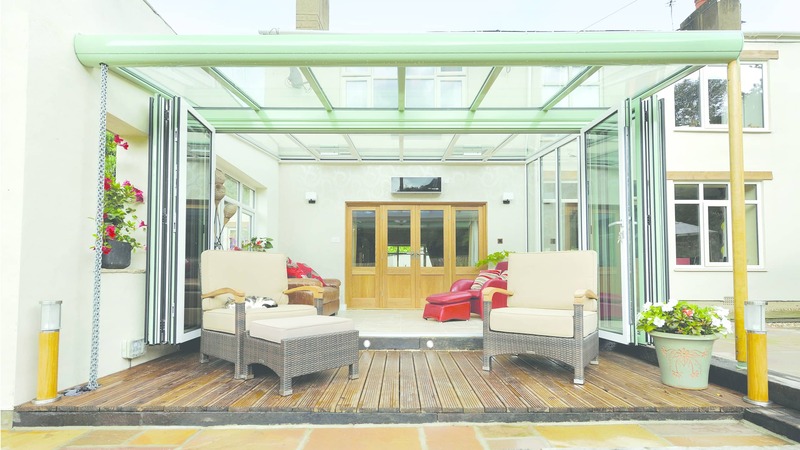 With a veranda from Abbey conservatories, you will be able to make the most of a smaller area and create a practical space where your vehicle will be safe. If you simply want to protect your car from the weather, then our verandas are the perfect alternative to a garage, giving you a fantastic place to keep your vehicle out of the sun, wind and rain. This innovative veranda design allows you to enjoy an increased degree of practicality and adaptability that only comes with a modern build. Our veranda prices are superb in Reading, Henley-On-Thames and Wokingham. We make these practical and stylish installations as cost effective as possible, enabling you to enhance your home and get value for money. If you are interested in finding out more, or you want a quote for your new veranda, get in touch with our friendly team. At Abbey Conservatories, we are here to help you with your home improvements, so please do contact us for expert advice and guidance.